Big families can settle into three-row SUVs like the 2018 Ford Explorer and GMC Acadia and never have to fight for elbowroom. Moreover, these modern SUVs keep you connected with smartphone integration technology. They even offer driver safety aids to help you avoid accidents. But which is best suited to your daily grind, the Explorer or the Acadia? Our comparison guide has the answers. The Explorer supplies you and your family with wide, plush seating cushions and generous passenger space in every direction - head, leg, shoulder, and elbow. The Ford also delivers a big cargo hold for your shopping bags and sports gear, with 21 cubic feet behind the rear seats. 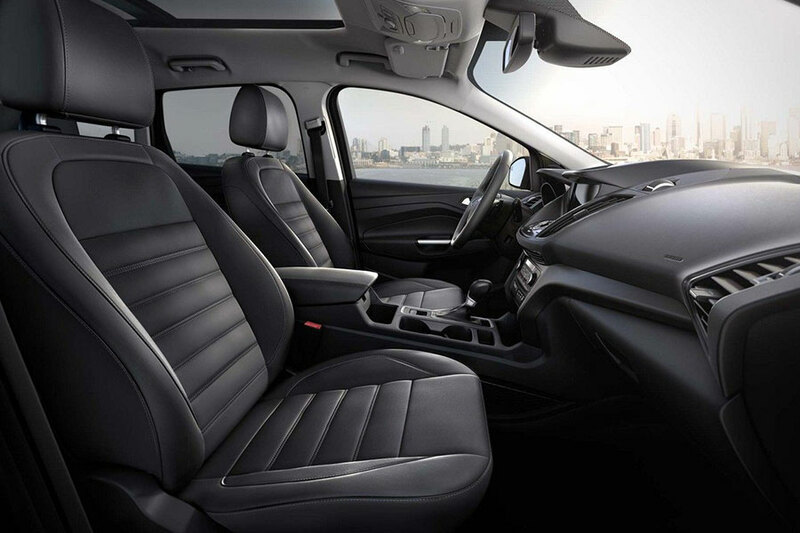 Fold down the rear seats and load 80.7 cubic feet of max cargo space. On rough roads, you won't feel a thing, thanks the Acadia's smooth-riding suspension. Seats are nicely contoured for hours of comfort. In the GMC Acadia, the third row is optional. It's also on the small side, even for kids. With the third row in place, cargo space is tight, with only 12.8 cubic feet behind the rear seats. If you do a lot of traveling, the Explorer is definitely the better bet. The Explorer is loaded with all the latest technology. The Sync 3 infotainment system features a crisp 8-inch touchscreen and voice controls, making it easy to get it to do what you want. Sync 3 also includes redundant buttons for stereo volume and radio tuning, so you don't have to deal with a touchscreen when you're stuck in traffic. You can even send text messages without taking your hands off the wheel, thanks to Apple CarPlay and Android Auto features. The GMC Acadia also offers an optional 8-inch touchscreen interface and voice controls. Apple CarPlay and Android Auto are optional, and Bluetooth pairing is quick and easy, so you can stay connected without any hassle. 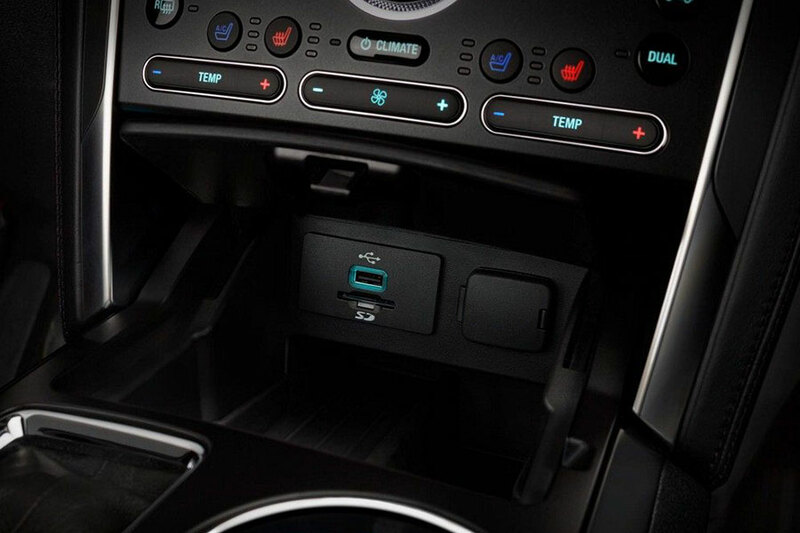 However, we favor Ford's infotainment menu structure, which feels more straightforward and easy to figure out. Both of these big, three-row SUVs balance power with modern fuel economy. However, the GMC Acadia does a slightly better job, earning up to 23 mpg combined, or 21 city/26 highway mpg. The Explorer's thriftiest powertrain will get you 22 mpg combined, or 19/27 mpg. Obviously, 1 mpg won't make too much a difference either way in terms of fuel savings. Drivers with heavy toys to tow will appreciate the 2018 Ford Explorer for its rugged capabilities. Combine either V6 engine option with the Class III trailer tow package, and this SUV tows up to 5,000 pounds. If you prefer the thriftier turbocharged four-cylinder, you can still tow up to 3,000 pounds. The GMC Acadia will tow a slightly smaller load. With a four-cylinder engine, the Acadia can tow up to 1,000 pounds. Upgrade to the V6 engine and this SUV can tow max loads of 4,000 pounds. Both crossovers provide three rows of passenger space and proficient power, but the 2018 Ford Explorer is our overall favorite. The Ford increases cargo space, so you can bring an extra golf bag on your weekend trips. The Explorer also tows heavier loads, making it the better pick for your boating expeditions. Ford's tech features keep you connected without distracting you from traffic.